I was inspired by many ways, but I ended up with a monochromatic one layer card. I surely wanted to use the white in here, and the sheep, I used Waffle Flower - monochromatic stamps for this. I framed it with just drawing the lines using a black marker. I do wanted to incorporate the pink in someway, so stamped the heart in pink. The sentiment is also from the same set. Do stop by the challenge blog to see what our talented DT has come up with. What a fun card and a fun take on Carol's card, Rahmat! The sentiment is awesome!! Wow ..Its cute and clever use of sentiment ! Such an adorable card, Rahmat! Love the sentiment and it goes along so well with the whole scene. 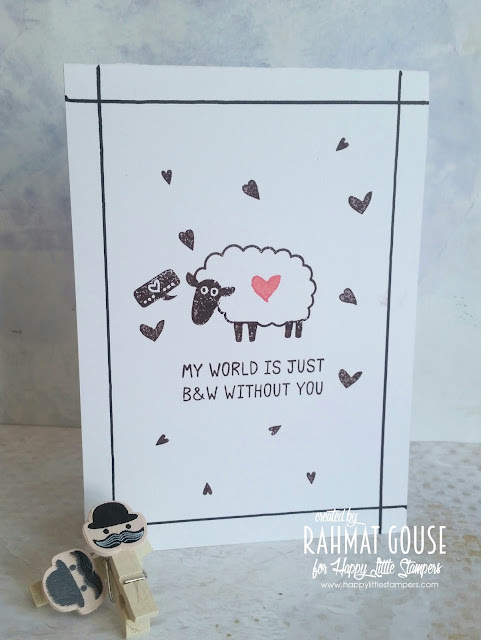 I love monochromatic cards Rahmat and your take on my card is adorable! 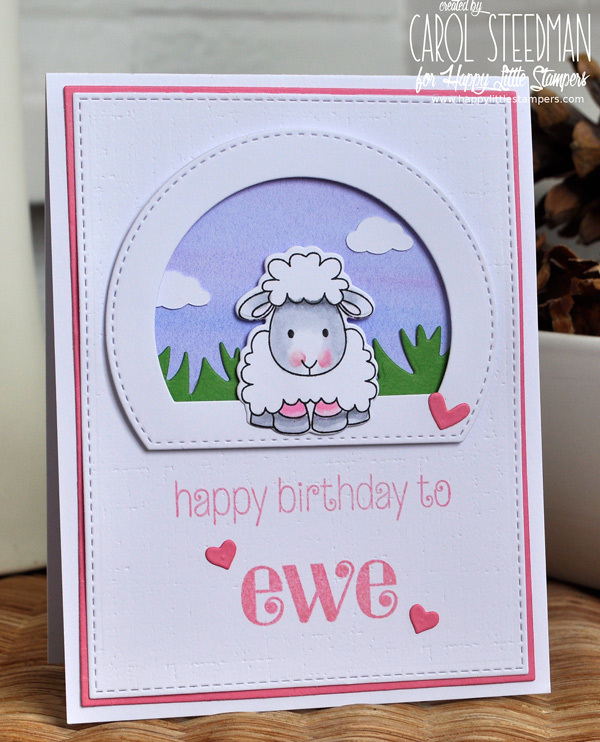 I love the little sheep and the sentiment fits the card perfectly. Thanks for CASEing my card. Oh wow--what a clever & creative use of the inspiration--love it! Fabulous card and such a brilliant sentiment.